Representing both buyer and seller, Scenic Sotheby’s International Realty sold 1025 Vizcaya Drive in Dune Allen on October 26th, 2017 for a remarkable $2,700,000. The Kelly Hill Team was proud to represent the sellers in this transaction, and the Carlyle Snelling Team brought the buyers. Closing for 99% of list price, this home sold for the highest price per square foot in Vizcaya at Dune Allen since 2004 at a noteworthy $1,032/sq.ft. This is significantly higher than the average price per square foot for 30A West End Gulf Front Homes in the third quarter of 2017 – coming in at $924/sq.ft. and selling for only 90% of list price. 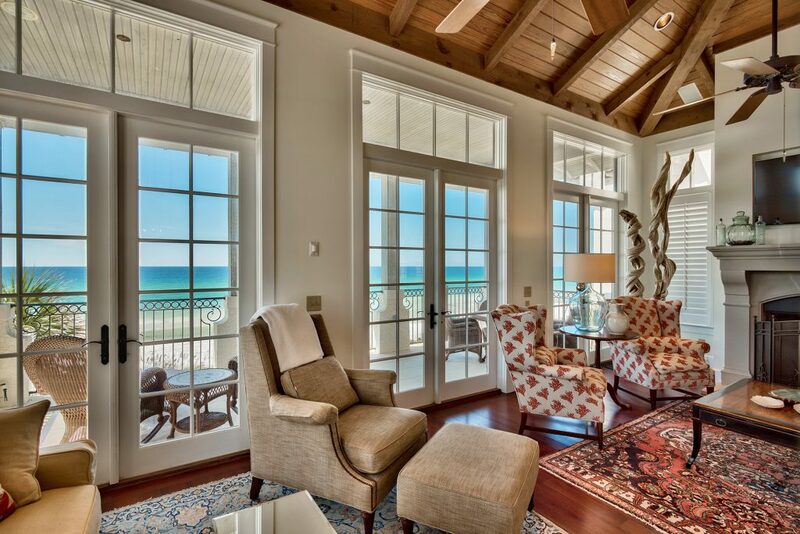 The real estate market for 30A West End Gulf Front Homes remains strong through the first three quarters of 2017. The total sold volume in the first three quarters of 2017 was $56,535,000 compared to 2016’s $38,899,000 – an impressive $17,000,000 increase in less than one year! We’ve also seen a dramatic decrease in the months of inventory for Q3 2017 as opposed to Q3 2016, with 60 fewer months available! Click here to read the complete Q3 market report for 30A West End Gulf Front Homes as well as the rest of 30A from Destin to Panama City Beach. Is now the time for you to sell? Find out what your home is worth!